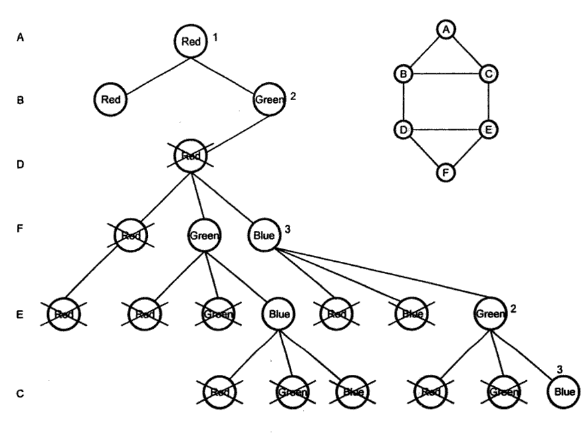 Graph coloring is a problem of coloring each vertex in graph in such a way that no two adjacent vertices have same color and yet m-colors are used. 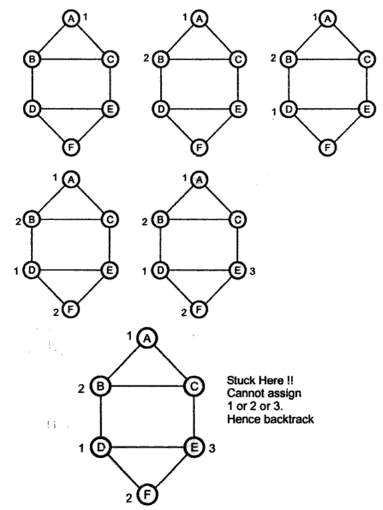 This problem is also called m-coloring problem. 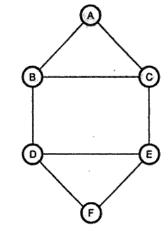 If the degree of given graph is d then we can color it with d + 1 colors. 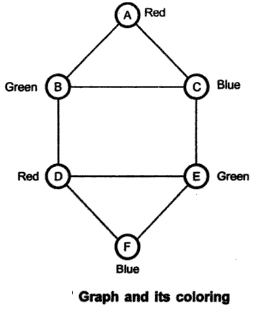 The least number of colors needed to color the graph is called its chromatic number. 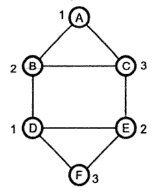 A graph G consists of vertices from A to F. There are colors used Red, Green and Blue. We will number then out. That means 1 indicates Red, 2 indicates Green and 3 indicates Blue color. Here we have assumed, color index Red=1, Green=2 and Blue=3.